Glorious fall foliage on the Highland Scenic Highway in West Virginia. Photo by ForestWander Nature Photography (use permitted with attribution). 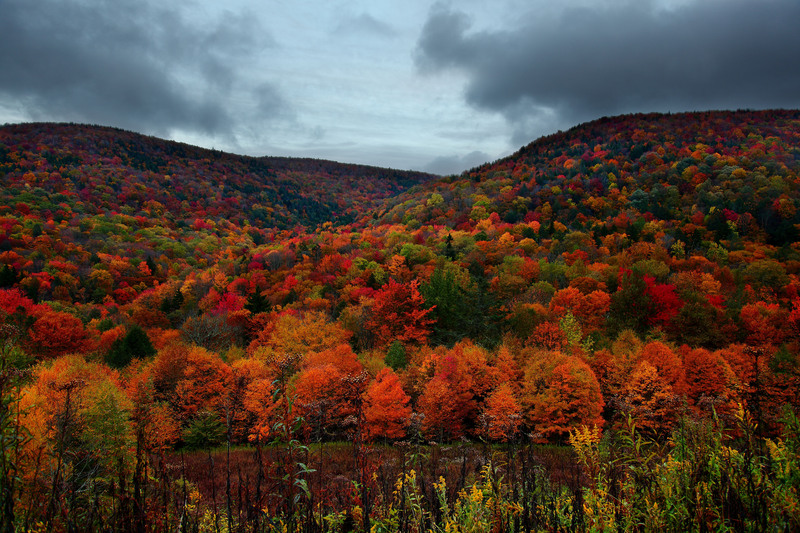 Autumn foliage in West Virginia mountains; [file:field-file-main-description] Photo by [file:field-file-photographer]/[file:field-file-source] ([file:field-file-license]). West Virginia recognizes three other state songs; "West Virginia, My Home Sweet Home" adopted in 1947, "This is My West Virginia" adopted in 1963, and "Take Me Home Country Roads," adopted in 2014. Lyrics to "The West Virginia Hills"
With their summits bathed in glory, like the Prince Immanuel's Land! But how sunny were my daydreams on those West Virginia hills! But no changes can be noticed In those West Virginia hills. Oh, the West Virginia hills! I must bid you now adieu. I shall still behold the vision of those West Virginia hills. Add Media for "The West Virginia Hills"